Full-time RVers often face unique legal challenges based on their lifestyle. Regulations that are easily met if you live in a house can be major hurdles for someone who lives full-time in their RV. ESCAPEES:HOME, in conjunction with our mail-forwarding service, provides you with the ability to receive mail anywhere in the world. 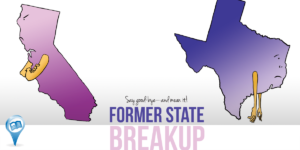 But ESCAPEES:HOME can also be an address used to connect you with a particular state. Each RVer’s needs are different. 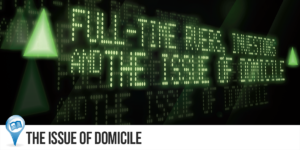 When it comes to choosing a state of domicile, there are many variables to consider. These include income tax, health insurance, personal property, investments, vehicle registration and more. Texas, Florida and South Dakota are popular choices for RVers. To help you make the right decision for you, we have pulled together guides and helpful resources. 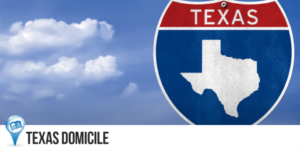 To help you with the process of moving to Texas, we created a step-by-step reference guide. 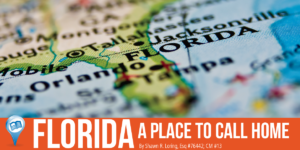 For more information on moving your domicile to Florida, take a look at our guide! Interested in moving your domicile to South Dakota? Take a look at our step-by-step guide and resources. Escapees cannot, and does not, offer legal advice. Instead, we sought out qualified legal advisors who can! To help you understand your legal options, contact Loring & Associates, PLLC for a free consultation. They specialize in domicile and estate planning issues that RVers face.